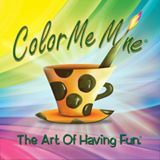 Color Me Mine - Get Involved. Make Friends. Enjoy Motherhood. Paint your own pottery studio! Fun for all ages! No studio fee! Normal studio fee is $10 for an adult / $6 for kids 12 and under. MOD Moms only have to pay for the bisque.